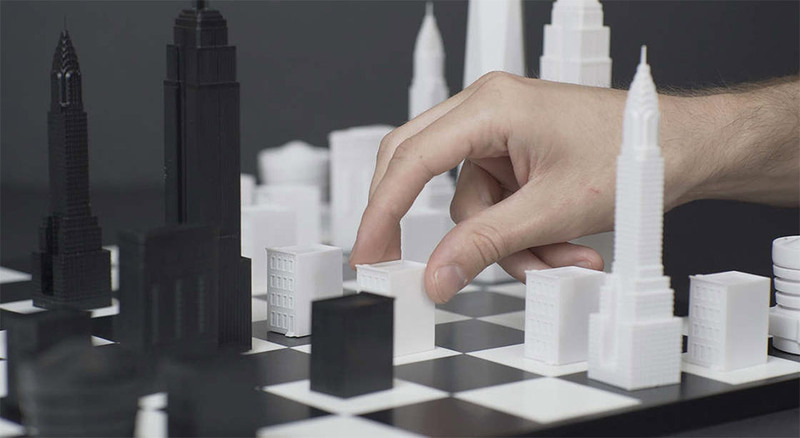 A wonderful chess set that pays tribute to New York City. 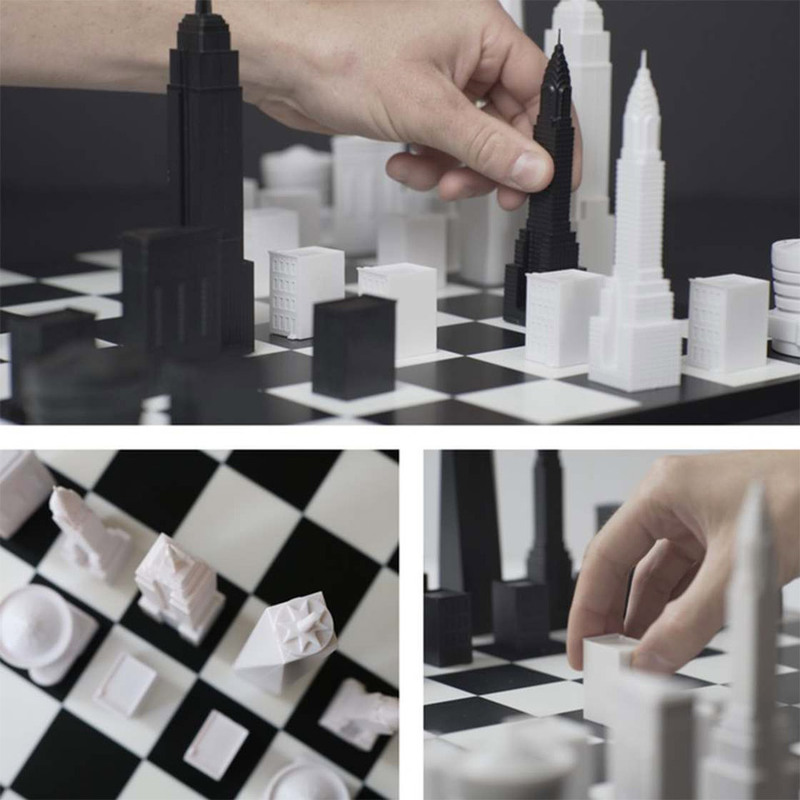 Designed by UK architects Ian Flood and Chris Prosser, each chess piece represents an iconic Big Apple building, and is injection molded with a weighted base. Available with a folding board, wooden, or a marble board.